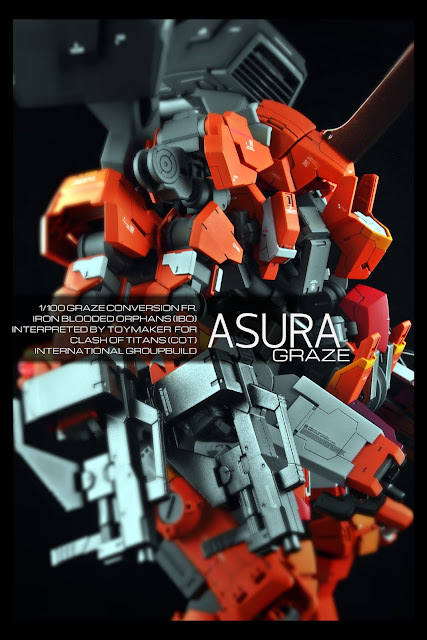 This is my latest work I named as Asura Graze. 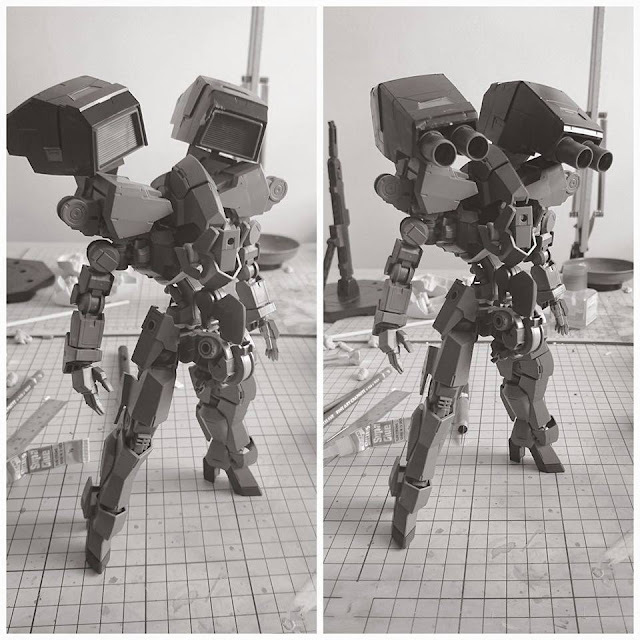 This build is actually part of a group build involving several modelers from various countries. It's called the Clash of the Titans Group Build. It's probably a first of its kind GB and hopefully it won't be the last one. Alright, back to the build. I vaguely based this build on Asura's Warth, a PS game I played a few years ago. I'm have been always fascinated about the mythological beings of Indian and Persian origins. It is a topic less explored in the Gunpla world. So the most obvious part of Asura are his four arms in the game. It was easy grafting them to the main body. The challenge here is how do I make the proportions more stylist and heroic. Amazing concept and blend work! The mix of parts from other kits doesn't look out of place at all! The added details are eye catching and the right colour scheme to pull everything together.